I'm not sure if you have seen my previous feature about MySlim, but if you haven't seen it, you can read it here. I have been looking for this since last year when I decided to get fit. I always get comments from people who haven't seen me for quite some time, that I gained weight. Well, it's illegal for someone to tell a woman that she's gaining weight, or getting fat. Sad, but true. When I resigned from my graveyard job last April, I gained a lot of weight. And I seriously hate it. Until now, I am working on getting back the slimmer version of my body. I'm sure that I am not going to get the 36-24-26 vital stats because according to my last BMI check up, my muscles are big that makes me overweight. Well, at least I am not overweight because of fats! Haha. I'm doing a major balik alindog program as what most people coin that term. I'm not sure if alindog is really appropriate for me, but yeah, you be the judge. I used to go to the gym after shift when I was still working as a back office call center agent, and when I stopped, I gained weight. It's really hard to maintain a healthy lifestyle for a busy person like me. It's really a struggle for me to lose weight right now especially that good food is everywhere! Haha. 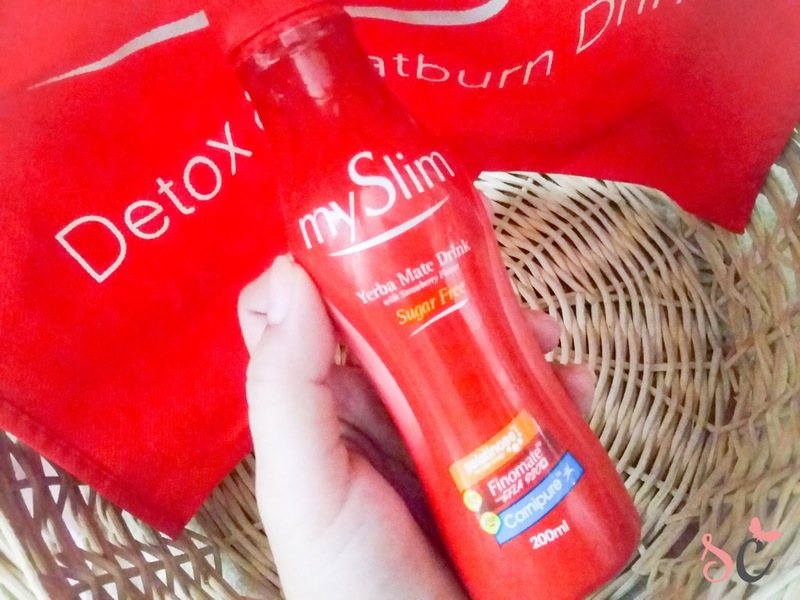 Lucky, I finally tried MySlim! MySlim serves you twice the fat burning power of YerbaMate (Finomate), and Hi-grade L-Carnitine (Carnipure) in a refreshing sugar-free drink with Palatinose. Palatinose is naturally derived from sucrose which functions by controlling the release of glucose into the blood – giving you stable energy for longer periods of time. Yerba Mate was first discovered in Brazil and was then used for tea. Over the centuries since its first discovery, clinical studies and research proved that it is also an effective weight loss component. It reduces fat and only burns the unwanted fat to make you feel fit and healthy. 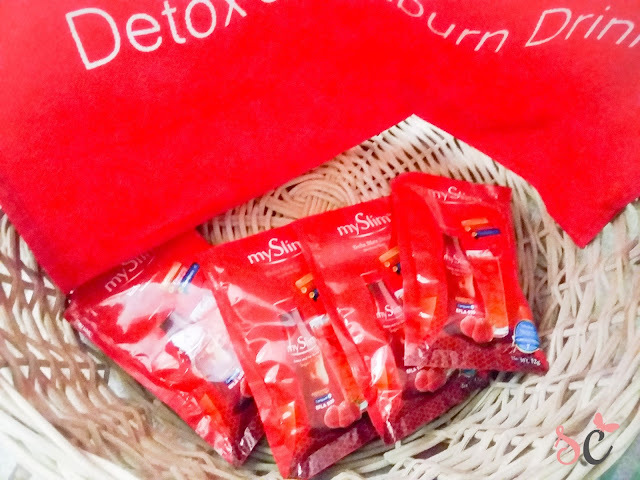 MySlim is sugar-free so how can it boost energy? The answer is in key ingredient Palatinose. It is naturally derived from sucrose and it functions by controlling the release of glucose into the blood. End result? You get stable energy levels for a longer period of time. FDA approved FR# 99192. Drink 1 bottle at the comfort of your home, because of detox effect, every night 3 times a week. I love the taste of strawberry. Especially when it's chilled! You wouldn't think that this is some sort of slimming product because of the taste. I just find the sachets a bit pricy since it costs Php69/sachet and Php89/bottle, and you have to drink it once. I tried dividing the sachets into two glasses. Still has the same effect. Warning: Drink this only when you are at home, because it will easily take effect and will make you go to the toilet. If you have read one of my blogs about the 7 Days Brazilian Slimming Coffee, you will see how most slimming products caused palpitations and headache as side effects. For MySlim, the only side effect is having to poop and feeling like you have LBM. That is why it is advisable that you take this during the weekends or before you go to sleep because of the detox effect. I usually feel bloated before I tried this one, but a week after trying, I feel that my tummy is light, although I haven't seen visible effects yet. What's important is that I feel clean inside and all the dirt and bacteria are flushed away. I will update you soon for the before and after photos. 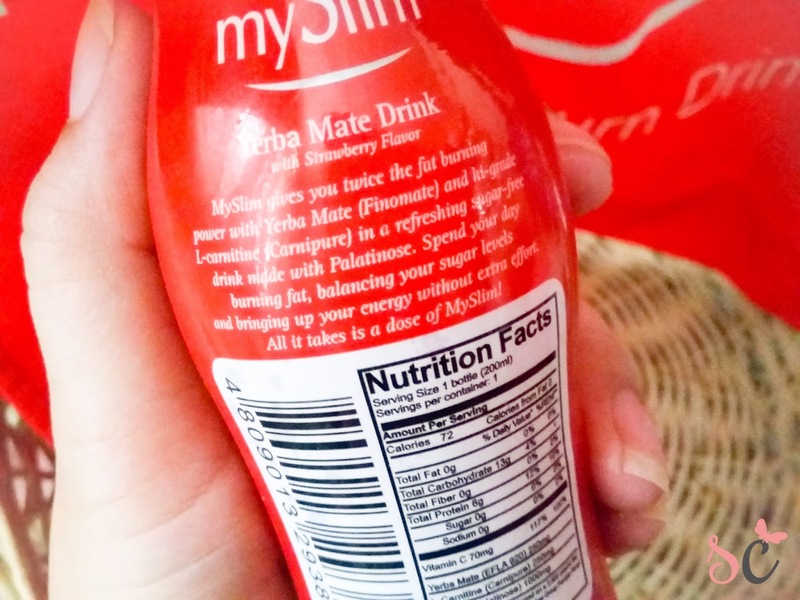 As of now, I am loving MySlim because it is safe, and doesn't have bad side effects on my body. The only downside I find is that I cannot find this anywhere. I tried looking for this on 7-eleven and drugstores near me but they don't have stocks! Wew. So I guess I have to order online once my stocks run out. MySlim is available in Mercury Drugstores, Watsons, SouthStar Drugstores, 7-Eleven, Robinsons Supermarket and Rose Pharmacy, St Josephs Drugstores nationwide. Disclosure: I received this package for free from MySlim and VidaNutricience but opinions are mine. I tried buying the sachet in different mercury drugs branches but they don't have it.Would it be fine if I ask, where is the best place to buy the sachet yerba mate drink?